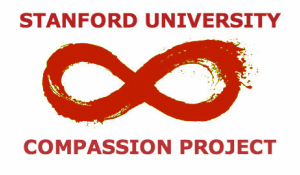 If you would like to partner on the Compassion Project, please contact the CCARE team at ccare_info@stanford.edu. 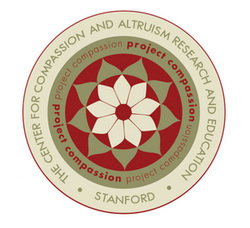 The Center for Compassion and Altruism Research and Education (CCARE) at Stanford University CCARE investigates methods of cultivating compassion and promoting altruism within individuals and society through rigorous research, scientific collaborations and academic conferences. In addition, CCARE provides a compassion cultivation program and teacher training as well as educational public events and programs. YesPlus Stanford YESplus provides us with tools to manage our stress and energy levels, leading us to experience a more happy, fulfilled and meaningful life. This workshop has been taught in 75 universities around the country (including Harvard and Cornell) in addition to progressive and service-oriented institutions such as Google and the World Bank. Learn how to succeed with less stress, more energy, and a state of mind that is both focused and relaxed. Make some of the most meaningful connections you've made on campus and understand how making a difference impacts your wellbeing. Visit yesplus.stanford.edu for more details and dates. organizes events (think random acts of kindness and day brighteners — e.g., bring a petting zoo to campus. streamlines outreach efforts to promote other health and wellness events, activities, and programs happening on campus. proposes new ideas and efforts for supporting happiness on campus. If you are interested in finding out more about the Happiness Collective, please contact Jacob Dalder at jjdalder@stanford.edu.